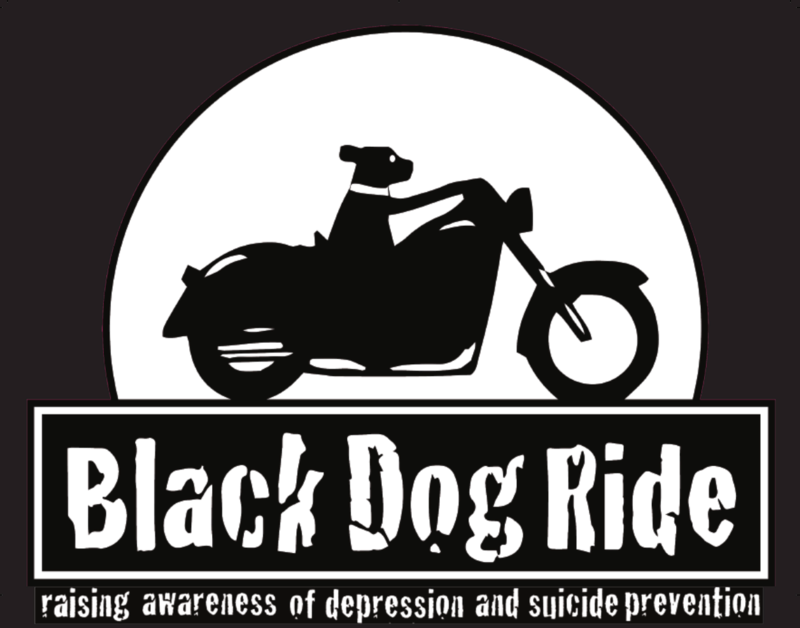 It is on again , the annual Black Dog Ride , raising awareness of depression and suicide prevention . Once again my plans are to join the Penrith riders for the run up the Putty Road to the Grey Gum Cafe . There is no requirement to register , but it will get you into the draw for an Indian Scout motorcycle . Second reason for attending is to support Kim , the owner of the Grey Gum Cafe , who lost her husband to cancer earlier this month. Kim was also very obliging to the krew when we hung our forum banner ( sKroll) at the International Cafe. I'm sorry to hear of Kim's loss. She was very accommodating of us when we stopped for an excellent meal and rest on our return North October of '16. I'd love to be able to make the ride with you, but...I hope there's a large turnout of friendly bikes and riders for the event. Love the Putty! Snowed here near Seattle yesterday, then dropped to minus 6C last night. I am looking forward to the sun finally cracking through the heavy grey and a small sign of impending Spring. I haven't ridden but once since returning home from the desert SW back in November. Me and bikes are 'antsy'. 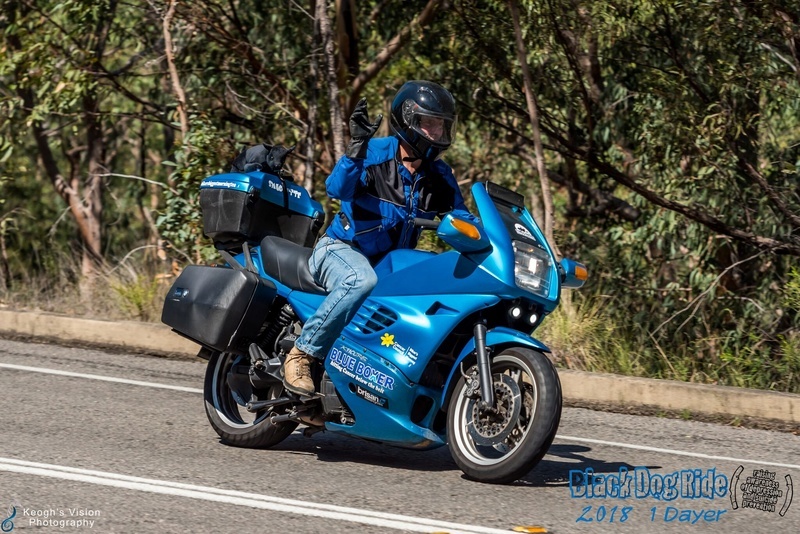 Yes Darren , Kim opens her heart and doors to all road users , motorcyclists being the main stream , with such a great riding road. I"ve been needing to catch up with my brother in Penrith , hopefully on the saturday night. Then join the pack on Sunday. hope to share a cuppa with you , if I see you there Al . Had a top day out , although no other K bikes in the crowd , found some fellow K riders to talk krap with . Attended by 600+ riders in all. I was glad to get clear of the carpark and run some air into the front end of Smurfette. A hot day reaching 40c degrees, maybe more in some spots . Just some of the many personalised Winston Black Dogs highlighting the need for awareness of suicide prevention and depression. Couldn't pass up the opportunity of a ride pic . thats it till the next ride . 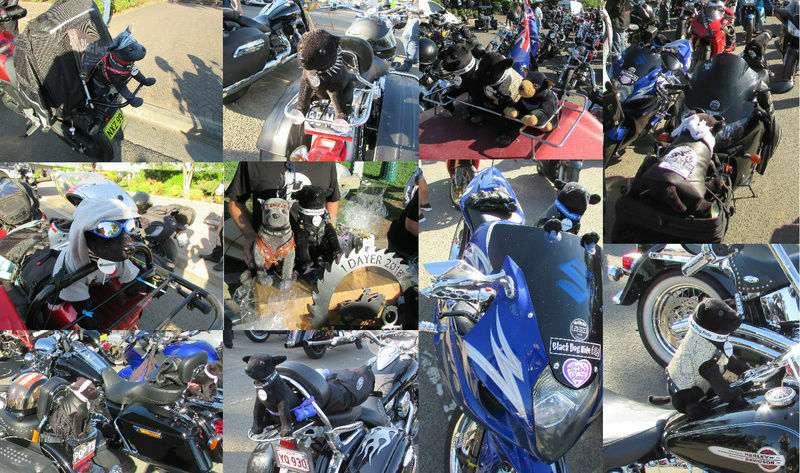 whispers in the wind , we may get a Black Dog Ride event closer to home next year .